We just received breaking news following the North America Inkling Open 2019. The Ver.4.6.0 update is coming on Tue, April 2nd. This update will include the distribution of the previously announced Sheldon’s Picks. 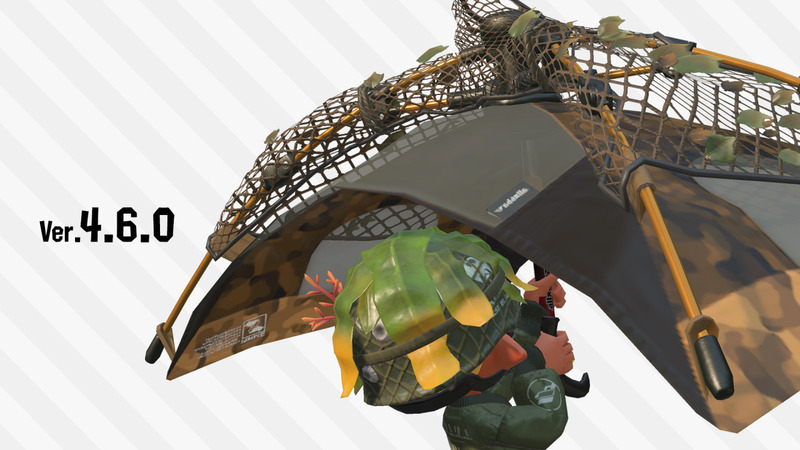 In addition to the previously announced 10 weapons, two additional weapons – Clear Dapple Dualies and the Tenta Camo Brella will be added to the game. These 12 weapons will be added all at once via the update. These will be the final weapons added to the game. Another feature being added is weapon badges, which act as marks of pride showing just how much you’ve used a particular weapon. Whenever you reach 100,000, 500,000, 1,000,000, and the maximum number of points inked with each weapon, these badges will display. Once earned, you can check them out on your player status screen and the equip screen!